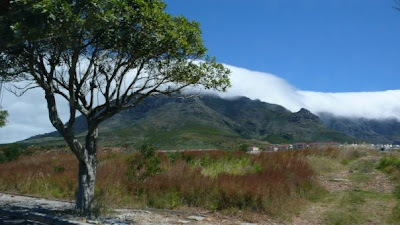 OH THE PLACES YOU'LL GO: Cape Town Is "Marriage Material"
That's the word from my boyfriend, who recently returned from 10 days in Cape Town, South Africa. It seems that not only has he picked up the lexicon of my blog (scoring major points, I might add) - but he's developed his own expatriate fantasy as well. As he regaled me with stories of his trip, I was reminded of how I sounded after coming back from Buenos Aires last year. Flush with enthusiasm. Enchanted by the "dream life" I'd seen others living. Infected with new thoughts of what it's all about. Not surprisingly, Cape Town and Buenos Aires share one thing that never fails to get Americans' attention: a staggeringly good exchange rate that makes everything damn cheap. Right now, one dollar gets you 10 rand in South Africa. To my surprise, that's an even greater steal than Argentina - and since that's my benchmark for living large on pennies, I was duly impressed. 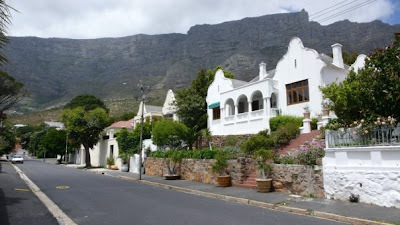 But if the bargain factor won't get you, it seems Cape Town's beauty surely will. My friends Ali and Katie have raved about it in the past, and well, just check out my man's photos! 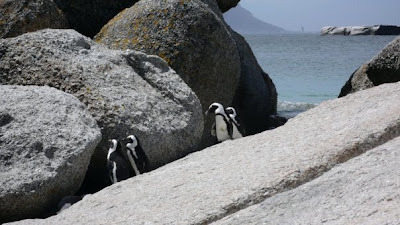 With the distinctive backdrop of Table Mountain and the stunning coastline (complete with penguins! ), Cape Town is a looker. A medium-sized city (3.5 million) with serious physical assets. My boyfriend was also taken by the friendly people, great restaurants and rapidly evolving culture. We'll see how the infatuation progresses, but a return trip has already been thrown out - with both of us going this time. Thank goodness, because I think I'm experiencing an acute secondhand crush. Beautiful! When can we start the commune? 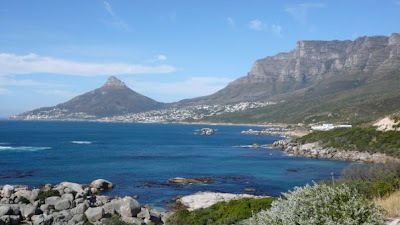 South Africa is on my list for an extended vacation next year!!! Now I am inspired to go for sure!